"Souljah Fyah showed up in top form, inspirational leader Janaya Ellis setting the room on fire with her heartfelt presence and constant call for positive action. . . . Ellis' tiny frame practically raised from the ground, glowing as her wild, dreadlocked mane spiraled around her head, following the beat. . . . the supreme leaders of Edmonton's Reggae scene." -- "Best Band of 2010" at the Reggae Music Achievement Awards in Toronto. Souljah Fyah is a high-energy female fronted Reggae band out of Edmonton with a wicked stage show. Janaya “Sista J” Ellis is the lead vocalist and bassist, and the group is packed solid with multi-talented reggae musicians. 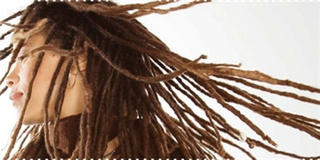 In November 2009, Janaya was awarded AVENUE magazine’s Top 40 under 40 Edmontonians “for bringing the world of Reggae to our city, and exporting it around the world”. She also received Global TV’s Woman of Vision award in March 2007 as well as the Big Miller Award for music achievement for her work in building Edmonton’s music scene. Souljah Fyah’s sophomore CD (produced by IBO at Smokey Room Productions) “Truth Will Reveal” dropped on February 9th, 2008. From that album, the first single “Sweet Love” reached #1 on CBC Galaxie Radio in 2008 (Canadian Reggae) and is listed in the top 3 international reggae releases in’08 by Stephen Neale. In addition, “Truth Will Reveal” climbed to #1 across Canada (Earshot-Online.com) charting nationally in the top ten for 7 weeks (International Chart). With the passionate single “Rwanda” featured on Ziggy Marley’s “Ziggy Radio” in 2008, and the single “Abundance of Good” charting #1 Canada-wide for 12 weeks (CBC Galaxie Radio, 2007), people are starting to talk about Souljah Fyah. "Souljah Fyah showed up in top form, inspirational leader Janaya Ellis setting the room on fire with her heartfelt presence and constant call for positive action. . . . Ellis' tiny frame practically raised from the ground, glowing as her wild, dreadlocked mane spiraled around her head, following the beat. As the night went on, and sweat poured from every pore, Souljah Fyah solidified their reputation as one of the most dedicated and beloved local acts around . . . the supreme leaders of Edmonton's reggae scene." "Four stars. Cynics, paid or otherwise, love to rag on reggae. "It all sounds the same," they complain. I dare them to say so after listening to Souljah Fyah's second effort, Truth Will Reveal. Fronted by a powerful -- yet graceful -- and charismatic woman, the local musicians offer the usual spliff-rolling, party grooves and social-activist lyrics, but they also add enough tantalizing ear candy to keep listeners captivated -- whether it be horns (Rwanda), ringing telephones (Fully Charged), trip-hoppish atmospherics (African Lyric) or a heartwarming conversation between singer/bassist Janaya Ellis and her daughter (Praylude). With her soft, tender vocals, Ellis (also known as Sista J) provides Souljah Fyah's greatest gift to reggae -- elevating it from an "I-shot-the-sheriff/No-woman-no-cry" cliche to an intensely personal and touching genre." --Sandra Sperounes of the Edmonton Journal reviewing Truth Will Reveal in March, 2008.